Week 11: Crush at Barnstormers; April 29, 5:05 p.m.
What: The Crush are in Iowa to face the Barnstormers for the only time of the season. When: Saturday, April 29, 5:05 p.m. (PST). Where: Wells Fargo Arena; Des Moines, Iowa. National Media: Stream - YouTube. Note: After the Crush played their first eight games against Intense Conference opponents, they face a United Conference opponent for the second week in a row. The Crush are 2-6 overall, 1-3 in the road and 1-0 in inter-conference play. Colorado is coming off a 77-73 home win over the Wichita Falls Nighthawks on April 21. They are averaging 39.6 points per game and are allowing 56.25 points per game. The Crush are fourth in the Intense Conference. The Barnstormers are 6-2 overall, 3-0 at home and 2-0 in inter-conference play. 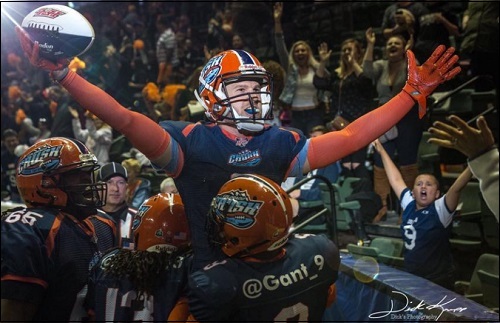 Wichita Falls is coming off an 31-25 road win over the Cedar Rapids Titans on April 22. They are averaging 39.8 points per game and are allowing 37.9 points per game. The Barnstormers are third in the United Conference. 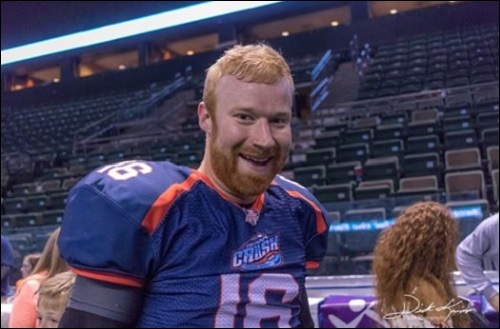 The Crush are flying high after their thrilling shootout 77-73 win over the Wichita Falls Nighthawks on April 21. They went into the game at 1-6 and the Nighthawks were 6-1. While making the playoffs is still a tall order, they are headed in the right decision. 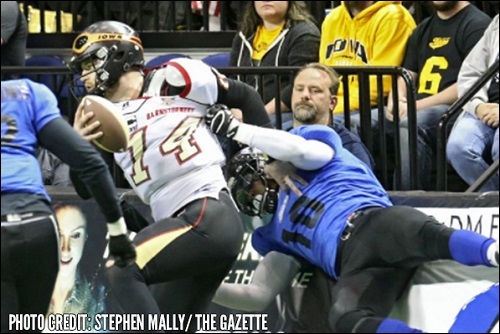 Colorado has been involved in three of the most thrilling games in the IFL this season. They fell to the Salt Lake Screaming Eagles, 42-41, in overtime in week 2, then beat the Screaming Eagles, 52-49, in week 7 on a last minute field goal from Spencer Groner. The third, of course, was last week's win over the Nighthawks. To date, the Crush's schedule has been Intense Conference heavy, with last week's game being their first against a team from the United Conference. Following this game, Colorado faces the Screaming Eagles two weeks in a row, then it faces the Spokane Empire two weeks in a row. Liam Nadler, who made his fourth start at quarterback for the Crush last week, was stellar in that game. In just four games with the Crush this season, he has completed 65.8 percent of his passes this season. He also has 17 scoring passes and just three interceptions. He has rushed for 122 yards and four touchdowns. Kyle Kaiser is by far the top receiver. He is averaging 14.0 yards per catch and 54.2 yards per game and has 11 games on the season. He was on the receiving end of the game winning touchdown pass from Nadler last week. Chris Gant has emerged as a nice receiving threat. Five of his 15 receptions have done for touchdowns and he is averaging 10.3 yards per catch.Look for Josh Ford to make an impact in either the rushing game or the receiving game, or both. After seven weeks with no defensive interceptions, the Crush got two against the Nighthawks, one on Daniel Lindsey's return for a touchdown and the other from Derrick Morgan. Morgan leads the team in total tackles with 38. Ace Clark leads the team in sacks with 1.5 (the team has five overall). Phillip Lewis has a team-high four tackles for a loss. To win, the Crush will need to ride the wave of last week's thrilling win. They will have to avoid the letdown which has been seen by many teams in this position. Making the playoffs is a long shot, but a win over the Barnstormers could make that journey a little shorter. After starting the season 2-2, the Barnstormers have reeled off four straight wins and have put themselves just a half game back of Wichita Falls in the race for the United Conference's second seed. The top two teams in each conference make the playoffs. Iowa, which fell to the Nighthawks in week 1, will battle Wichita Falls one more time, on May 20 in Texas. Still, the Barnstormers still face respective defending conference champions, the Spokane Empire and the Sioux Falls Storm in their final two games of the seasons (the Storm are the IFL's lone undefeated team at 8-0). Both games are at home. But those are weeks 17 and 18. This is week 11 and they are hosting a team booming with confidence after dispatching the Nighthawks last week, 77-73. Travis Partridge has come on over that four-game win streak. On the season, he has completed 58.4 percent of his passes for 1,342 yards, 23 touchdowns and eight interceptions. He also leads the team in rushing. Partridge, who has played all eight games for the Barnstormers, is definitely a dual threat who cam make things happen on offense in multiple ways. Brady Roland is the go-to receiver, but Ryan Balentine and Lucas Hefty are poised to make a play at any time. Defensive back Javicz Jones is the clear leader on defense, having recorded 64 total tackles, three interceptions, two sacks and 7.5 tackles for a loss. Ra'Shawd Myers has an impressive six sacks this season, while DaeJohn Love leads the team with four interceptions. Vincent Taylor is second on the team with 34 total tackles. The Barnstormers have the luxury of being at home in this game. They will have to use the momentum they have built over the past four weeks to turn back a growingly confident Crush team. If they can do so, they can extend that win streak for five. April 28 - Cedar Rapids Titans (1-8) at Nebraska Danger (5-4), 5:05 p.m.
April 29 - *Sioux Falls Storm (8-0) at Wichita Falls Nighthawks (7-2), 5:05 p.m.
April 29 - Green Bay Blizzard (2-7) at Arizona Rattlers (4-4), 6 p.m.
April 30 - *Salt Lake Screaming Eagles (1-7) at Spokane Empire (6-2), 3 p.m.
Crush QB Liam Nadler is coming off his best day as a pro and, as a result, was named IFL Offensive Player of the Week for week 10. Nadler led the Crush to a thrilling 77-73 home win over the Wichita Falls Nighthawks. It was the Crush's first home win in 2017 and also the highest point total of the season for Colorado. Nadler completed 18 of 23 passes (78.2 percent) for season highs of 273 yards and seven touchdowns. He also ran three times for 35 yards and a pair of scores. His 25 yard strike to Kyle Kaiser with 17 seconds to go in the game proved to be the game winner. 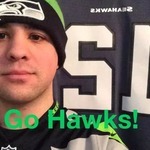 I voted for Kaiser in the poll, but Tim Lukas was activated from IR so we shall see if he comes back strong. s apparently today they released Tim Lukas. But I just saw that they activated Goldrich...let the QB controversy begin!!! Sounds like they did what we predicted. Only instead of releasing Aiken, they just put him on IR. I still give Nadler the start though. But I'll ask you -- if he struggles or if they fall into a deep hole, does he get the hook? I don't think so. He has been solid and I think that he will continue as the starter. Plus, I think that the new coach, Marvin "Shade Tree" Jones, really likes Nadler. We might see come differences this week with a new coach, but we might not. I am interested to watch this game to see what Marvin does. I know that he is excited to be in the spot. We talk a lot and that is one cool dude. Nadler had a tremendous game last week. I do not think he loses the position this week. It may be Nadler's job to lose, but I do not to see it happening this week. Really looking forward to this one. It'll be interesting to see how the Crush respond after their win last week. Not only after the win, but how do they take to the coaching change? I don't see him losing it this week but he'll need to keep up his high quality play to keep the job IMO. Who is the new coach BTW? Marvin Jones is stepping into the head coaching slot. Heidi has the scoring updates and I will have the quarter summaries tonight. Let's get this game started! Depends. If he keeps up his high quality play he for sure stays. If he is even OK, he should still stay but give him the memo that Goldrich is behind him. If he has a bad game I would still keep Nadler but if he starts to have another bad game, then enter : Sean Goldrich.